Welcome to The Fourth Wall, CHIRP's weekly e-conversation on cinema. This week's subject is the Netflix series BoJack Horseman. In the series BoJack Horseman, the humans and demi-humans who populate the bustling film and TV industry town of Hollywoo [not a typo] have the usual problems. But, as in our reality, some problems are more profound than others. The series’ main character (Will Arnett), the washed-up former star of the ‘90s sitcom Horsin’ Around, is a giant pile of vice, self-loathing, and poor decision-making. If a writing teacher out there needs to provide an example of the difference between a "hero" and a "protagonist," they don’t need to look any further than this guy. BoJack has friends: now-former agent/lover Princess Carolyn (Amy Sedaris), now-former houseboy Todd Chavez (Aaron Paul), industry frenemy Mr. Peanutbutter (Paul F. Tompkins), and biographer Diane Nguyen (Alison Brie), who’s also Mr. Peanutbutter’s wife. But over the series’ first three seasons these people have realized, in their own ways, that the best way to keep BoJack in their lives is to get away from him. Mr. PB and Diane focus on their marriage, Princess Carolyn her career and desire to start a family, and Todd his search for his own place in the world, which still involves crashing on other peoples’ couches. At the start of season 4, BoJack has been missing for several months, having left town to once again try to get his life in order. He will soon find his way back to his old stomping grounds, though, thanks to a young woman named Hollyhock (Aparna Nancherla) who appears on his doorstep and claims there’s a good chance she’s his daughter. 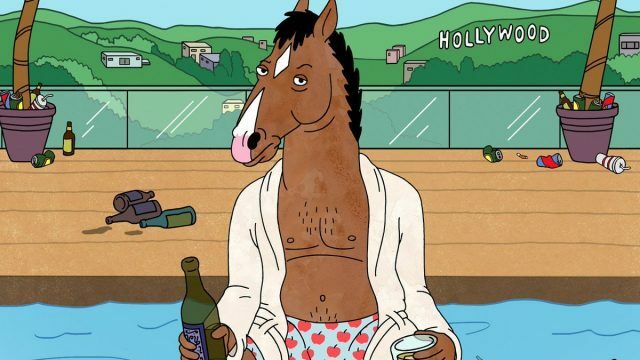 Finding out the truth of the matter will reconnect BoJack with his estranged mother Beatrice (Wendie Malick), whom he….let’s just say they have issues. Meanwhile, Mr. PB decides he’d like to run for governor [because, why not? ], Diane has to decide if she can really support Mr. PB as a husband or political candidate, Princess Carolyn makes a go at a long-term relationship, and Todd works on his latest business venture that involves a pack of clown-dentists [not a typo]. With its bright and colorful animation, talented cast, layers of humor, and rapid-fire references and inside-jokes, this show reminds me a lot of the Golden Age era of The Simpsons (seasons 2 through 10). The thematic commentary is just as sharp too, but pointed in a different direction. Whereas The Simpsons' Springfield is the setting to comment on society at large, BoJack Horseman’s world is focused on the state of specific people, one specific place, and one specific industry (entertainment). It’s safe to say that this is not a show that will be appearing on Fox or any other major network soon, not unless frank discussions of asexuality, miscarriages, and parent-hatred become a thing. There are a lot of ways I could go with my questions, so I’ll start with the basic one. Kevin, as a newcomer to this series, what did you think of it? So, I entered the world of BoJack cold. I watched the pilot (S1), then skipped ahead to season 4. And, well... six episodes into S4, I felt the same way as I did one episode in -- which is to say, I didn't feel much of anything. I'm certainly not ruling out the possibility that I may be a heartless automaton! I got the cultural references and the political critiques, and understood the existential crises facing BoJack and his circle. But at the end of the day, it's still one giant farce to me. And this creates a nigh-insurmountable disconnect that prevents me from caring about these characters. As such, I fully recognize that I'm ill-equipped to judge the artistic merits of shows like this. I imagine that I'd feel similarly if asked to review an album of death metal or trap music? It would all just be noise to me. How could I tell what's good from what's bad? Clearly, critics and audiences overwhelmingly love the series. 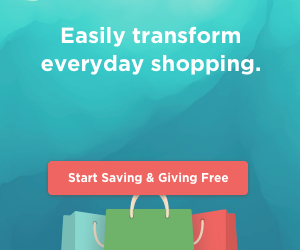 They also loved Arrested Development (which came to mind because of the Will Arnett connection); AD was also the first time I remember feeling perplexed by a particular brand of humor. The funny thing is, I recently caught The Animation Show of Shows at the Siskel, and commented to a friend afterwards about how comedy that didn't work for me in a live-action environment sometimes did in an animated one. In hindsight, though, perhaps that's because these indie shorts tended to employ visual humor as opposed to snappy patter? I dunno. I wish I did get BoJack, because I would love to understand exactly why it does click with so many. 1) To start with, why the animal theme? Since BoJack and many of the other folks who inhabit this world talk and behave like humans, what was the goal behind mixing the two? Would the show have lost anything worthwhile in your eyes if all the characters were human? And if so, what? 2) The political screeds, from the vapidity of political campaigns to gun control, seemed a bit heavy-handed to me, I guess? In a way that the Golden Age of The Simpsons certainly didn't -- but it's been 20 years or so (!) since that era, and I wonder if those episodes would seem as magical to me today if I were viewing them with fresh eyes. 3) I think it's quite bold to try and address issues like depression and parental abuse, and I do give the creators credit for tackling serious themes. Anyone who's gone through periods where they've felt doubt and a lack of self-worth can identify with BoJack's train of thought in Episode 6, "Stupid Sack of S**t."
4) Obviously, I'm missing a lot of backstory, but why/how exactly are Diane and Mr. Peanutbutter together? What was that courtship process like? What would they even talk about? Also, are these questions I really shouldn't be asking? Am I thinking way too much about this? 5) Are there characters that you identified with in particular? Diane seems to be the moral center of the show, like Lisa is in The Simpsons. (Which makes her relationship with Mr. PB all the stranger.) Is the audience supposed to root for anyone here? I think we may have a Parks & Recreation* scenario here. As highly-lauded as BoJack is now, Season 1 did not get much love from critics or viewers. The 5-star accolades didn’t come until seasons two and three. The aggregate ratings bear this out – a jump from 60% favorable to 95%-100% between seasons 1 and 2. Upon reflection, I think one way Bojack is definitely not like The Simpsons is how it would be tough to start in the middle. There’s no “everything goes back to normal” at the end of each episode. So much of what goes on in season four, especially how the characters relate to each other, depends directly on the events of the second and third seasons. I think the animal theme allows the stories to veer into the stranger story lines. If everyone involved was a human, the show would probably have had the success of the similarly-themed Will Arnett all-human project he worked on at the same time as BoJack, which is to say, not much. Plus, more than half of the gags just wouldn’t work with an all-human cast, even if animated. Your questions about Diane and Mr. PB are exactly what I would ask if seeing them for the first time. Basically, they met when Diane was writing BoJack’s biography and spending all her time with him and his friends. She’s his third wife. Their reasons for getting married and the problems they go through are all detailed in seasons 2-3. Fundamentally, it’s about Diane casting about for a purpose in life and Mr. PB’s aversion to being alone. For a cartoon woman and dog, it is a surprisingly nuanced portrayal of marriage. When I first started watching the series, I felt like Diane was the one I could relate to, but not so much anymore. It’s not because her character is written to be horrible or evil, but because she’s a “three-dimensional” person who has motivations and reasons that belong to her. The character I’m feeling the most empathy for at the moment is Princess Carolyn, a lifelong careerist who has spent so much time taking care of the BoJacks of the world she doesn’t know how to do the same for herself. So, to sum up, if you have any interest I would highly recommend filling in the BoJack chapters you haven’t seen. Were there any projects that caught your eye at The Animation Show of Shows? Those kinds of compilations are fun, although I’ve realized I’m partial to some forms of animation more than others. I’m not a huge fan of Anime and puppetry, for example. Do you have particular tastes in this genre? Your note about Parks & Recreation (which I've never watched) brings to mind The Seinfeld Chronicles, the pilot of the series that would later be retitled as simply Seinfeld. Most folks hated the episode, and the show could've easily just disappeared at that point. However, NBC decided to order a few more episodes, Jerry & Co. found their footing, and it was smooth sailing from there on out. At some point down the line, I'd like to pick your brain as far as how long you stick with shows and films before deciding to part ways. Is the process similar to how we treat books? Some folks are sticklers and always finish things they start, whereas I need to be hooked within the first 100 pages or so or else I cut bait. I do make a point of checking out the Oscar-nominated animated shorts each February, and am always impressed by how many of the stories (which come from all over the globe) work without any dialogue at all? It brings to mind that old screenwriting tenet, "Show, don't tell." As far as styles, I share your lack of interest in anime; I recently ventured into those waters on two occasions for the Studio Ghibli films My Neighbor Totoro and Only Yesterday, and was sent to Snoozeville in short order. However, I do dig the rotoscope brand, used in Richard Linklater's Waking Life (one of my all-time favorite films) as well as the classic "Take On Me" video from Norweigan popsters A-ha. Until recently, I'd thought that the Israeli film Waltz With Bashir also fell into this category, but apparently not? (Still a marvelous artistic achievement, though.) And I'm very much looking forward to the upcoming Loving Vincent, which was shot with actors and then transformed into animation entirely via 60,000+ oil paintings. 1) Marjane Satrapi's Persepolis -- her film was a brilliant adaptation of her autobiographical graphic novel about growing up during the Islamic Revolution in Iran. 2) Within the last couple of years, I've been introduced to the work of Don Hertzfeldt, and his feature It's Such a Beautiful Day is one of the most thought-provoking tales I've seen. Beautiful, sad, funny... it opens up a unique window to that "quiet desperation" lurking in all of us. For those who wish to dip their toes into his particular brand of storytelling, I'd suggest his last short, World of Tomorrow. It won a slew of awards (as well as an Oscar nomination) when it was released in 2015, and apparently a sequel is due to hit theaters next year. Have you seen this show? Want to add to the conversation? Leave a comment below! Share September 29, 2017 • http://chrp.at/1qFp • Share on Facebook • Tweet This! Previous entry: Join Us for Sun Kil Moon at the Old Town School of Folk Music on 10/3!